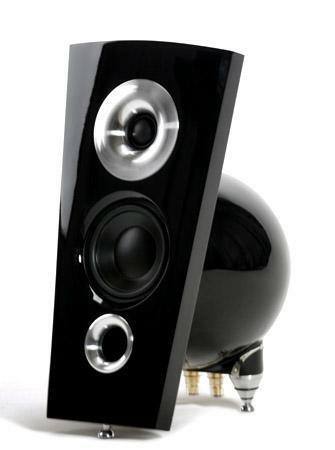 Terra II loudspeaker from Everything But The Box Ltd.
Hi-Fi Speakers > Terra II > Everything But The Box Ltd. The sound of Terra II is very accurate, with surprisingly deep low frequencies for it?s size. Maybe you never heard so detailed transparent and vivid vocals and crisp and very well balanced high frequencies. You can even calibrate the high frequencies to your test. This is very useful especially if you play old LPs or compressed audio like MP3. Terra II are very agile and dynamic too. They can easily play very loud or very tender music with very fast changes in the dynamic level. And due to the variable height of the feet you can precisely adjust the phase alignment exactly to your ears. Detail obsession - both in acoustical and aesthetical sense. Terra II > Everything But The Box Ltd.